Note: I tried my best to avoid spoilers in case you haven't seen the movie. I think I succeeded, but be warned. 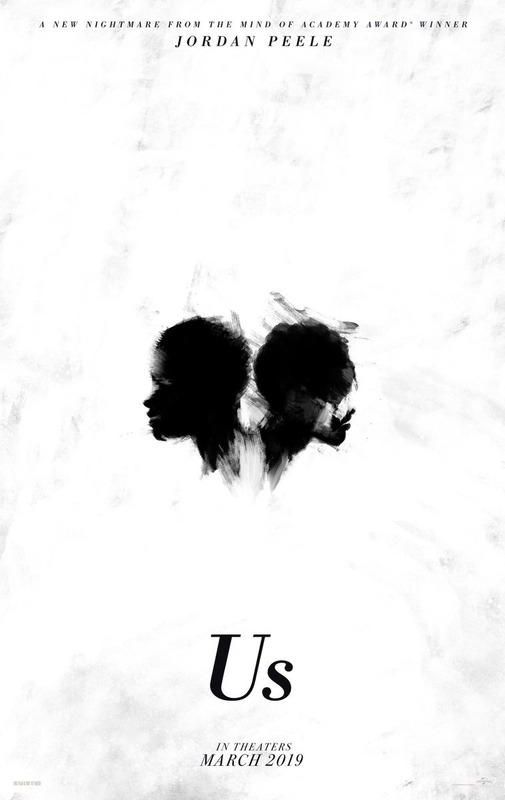 The initial marketing for “Us,” Jordan Peele’s second film, revolved heavily around posters that looked like Rorschach tests. The black-and-white ink splatter formed the shape of two people facing away from each other, but tethered together. Depending on one’s viewpoint, the posters also looked like a skull. Or a heart. Or whatever one might project upon it. 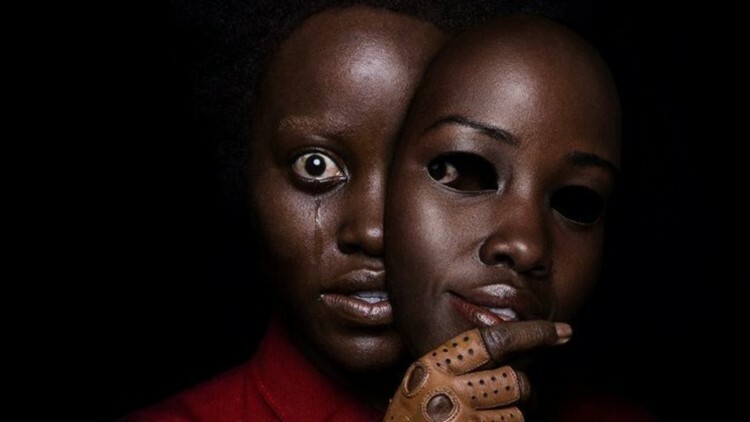 The film, which stars Lupita Nyong’o and Winston Duke as a couple on their way to a weekend beach retreat with their children (Shahadi Wright Joseph and Evan Alex) who encounter their evil doppelgängers, is a film of dualities: It’s as funny as it is terrifying. It works just as well as a horror film as it does a social commentary film. It seeks to entertain and provoke thought. On a purely technical level, “Us” is a marvel. The colors pop off the screen. The score, by Michael Abels, is haunting. The cinematography is accomplished, and Peele has already established his style in just two films. When compared to its predecessor (because it inevitably always will, even though comparing “Get Out” to “Us” is like comparing apples to oranges), it acts as the companion piece inverse of that film’s structure, which starts out disorienting and builds to a tight, pat conclusion. “Us” starts out with the viewer thinking they know the film they’re walking into, but their questions only grow until the end, which simultaneously conjures up so many metaphors and twists, yet works together. “Us” is a film full of muddled metaphors about everything from class to race to capitalism to politics to slavery to the American Dream. Throw in a lot of biblical references — Jeremiah 11:11 gets referenced a lot. It reads “Therefore thus saith the Lord, Behold, I will bring evil upon them, which they shall not be able to escape; and though they shall cry unto me, I will not hearken unto them” (King James Version) and was a part of a book that was written by an Old Testament prophet to condemn the Israelites’ worship of excess and false gods — and you’ve got a film that is constantly pushing and pulling at the center of its own being. In the mere days since its release, I’ve seen a bunch of various interpretations of the film and its metaphors. That’s on purpose. Make no mistake, if one just wants to see a great horror film that provides the best chills and thrills of the genre, “Us” is a great movie for that. For those who want to dig a little (or, in my case, a lot) deeper, Peele designed it that way. But I think "us" is bigger than that. And I think one of the reasons this movie has an expansiveness is because "us" is subjective. Everybody thinks of the term "us" in different ways — it can be "us" the family, "us" the town, "us the country, "us" humanity. I think in the simplest form, the very nature of "us" means there is a "them," right? So that is what this movie is about to me, is that: Whatever your "us" is, we turn "them" into the enemy, and maybe "we" are our own worst enemy. My personal reading (without getting into spoiler territory): “Us” is about the futility of the American Dream and how the small concessions we (we as in us as people, but also we as in the U.S. as a country) make in pursuit of our “false idols” will only erode us as people and as a country. Nearly every conversation in “Us” that doesn’t revolve around the horror of the doppelgängers revolves around money and class: who has it, how can they get more of it, how can they keep it. And by constantly pursuing excess, we create “them,” the people who, intentionally or not, become disenfranchised for our own benefit. At some point, there’s going to be a reckoning, like in Jeremiah. To make a final “Get Out” comparison, “Us” also works as a winking warning to the well-meaning white folks who watched “Get Out” and, much like Dean “I woulda voted for Obama a third time” Armitage, attached on to the film as a form of symbolic wokeness while not doing anything concrete to help fight the systemic injustices in this country. The warning is this: Your chase of excess and wealth, no matter how well-meaning it was, still disenfranchised people and contributed to the problem. Or maybe the film’s just a metaphor about everyone being their own worst enemy. Or it’s about refusing to chase our dreams, or the fear of giving into our id, or the ways in which Generation X has become burned out. I’ve seen all of those explanations online in the days since the film’s wide release. I’d say all of those explanations are valid, too. The strength of “Us” is in its elasticity. Fear takes many forms. Sometimes, it’s us. I can’t wait to see this movie again. Sign me up for whatever Peele does next. Got any other ideas about what "Us" means? Think Jake is way off base? Follow WFAA digital journalist Jake Harris on Twitter or send him an email at jharris@wfaa.com.